A crisp and contemporary four bedroom architecturally designed detached home sited in approximately 3/4 's of an acre and enjoying an elevated position with outstanding views in the midst of the Cairngorms National Park outside Nethy Bridge. With a combination of innovative design and contemporary luxury finishings this home benefits from floor to ceiling glazing enjoying a panorama over the Spey Valley, River Spey and past Nethy Bridge across the ancient Bynack More woodlands to the dramatic backdrop of the Cairngorm Mountain Range. With a floor area of over 220 sq metres, the outstanding and large living spaces are more inviting, while the finish and specification contain many unexpected touches that will make your life just that little bit easier. Whether you are bringing everyone together or prefer a more peaceful way of life this unique and luxurious home in the Highlands has all the quality, flexibility and eco credentials to reflect today's lifestyle. With all you want in a home and all you need in a location the property is ideally placed for those who wish to enjoy the beauty and amenities of the great outdoors and have the Cairngorms National Park on the doorstep. Located in Broomhill outside Nethy Bridge in the heart of the Scottish Highlands and within wider Strathspey which enjoys vibrant and friendly communities. The area is peaceful and tranquil and is surrounded by spectacular mountain and moorland scenery, making it the ideal base for exploring the Highlands. Famed for its outstanding beauty the area offers an extensive range of outdoor pursuits including skiing at one of Scotlands leading ski resorts, Aviemore, hillwalking, mountain biking, golfing, fishing and stalking. Other attractions include Landmark Forest Park, Strathspey Steam Railway and the Malt Whisky Trail. Primary schooling is available in the village of Nethy Bridge or Grantown on Spey with secondary schooling available in Grantown on Spey. There is a wider variety of shops and services in Aviemore and Grantown on Spey. With a floor area of over 220 square metres this four bedroom (two en-suite) executive family home offers large open plan spaces epitomising comfortable living and contemporary styling including floor to ceiling glazing and first floor lounge areas with outstanding uninterrupted and panoramic views of the Spey Valley, River Spey, Strathspey Steam Railway and Cairngorm Mountains. With options available to add to your own bespoke kitchen this is a property that will be suited to your individual taste and lifestyle. Complemented with superior fittings throughout, you can understand why the this home is every bit as desirable as the location itself. The focus of the development has been to highlight on quality to satisfy the discerning buyer and the specification includes a bespoke contemporary kitchen and quality white sanitary ware, chrome fittings and floor warming, in the bathrooms. Finally, the house has been decorated in contemporary colours to complement the fine detail and excellent levels of natural light. All of these details help to create an environment fit to augment the stunning architectural detail, location & grounds. The developer has focused on building the home to encompass excellent energy reduction features to create an efficient home with sustainable materials and features that matter to you and your family, such as comfort, durability, and efficiency. We are proud to offer this home which demonstrates a commitment to excellence and a respect for the environment. The developer has chosen to go beyond minimum regulation levels for CO2 emissions. By purchasing this home, you will be better insulated and thus producing less carbon dioxide per annum, than a property complying with 2007 legislation levels. Heating is via Air Source heat pump, underfloor heating, wood burning stove, double glazing and high performance external doors. With an emphasis on open plan living the natural light and flow of the living spaces and kitchen are highlighted with full height glazing and individual touches that provide inviting family and entertaining spaces. A particular feature of this home is the first floor lounge / dining / kitchen area that is accessed by a magnificent solid Pine staircase and filled with natural light thanks to the plethora of full height and feature windows that frame the magnificent surroundings perfectly. All bedrooms are of generous proportions with abundant natural light. There is ample storage including double wardrobes with matching shelves and hanging rails provided. 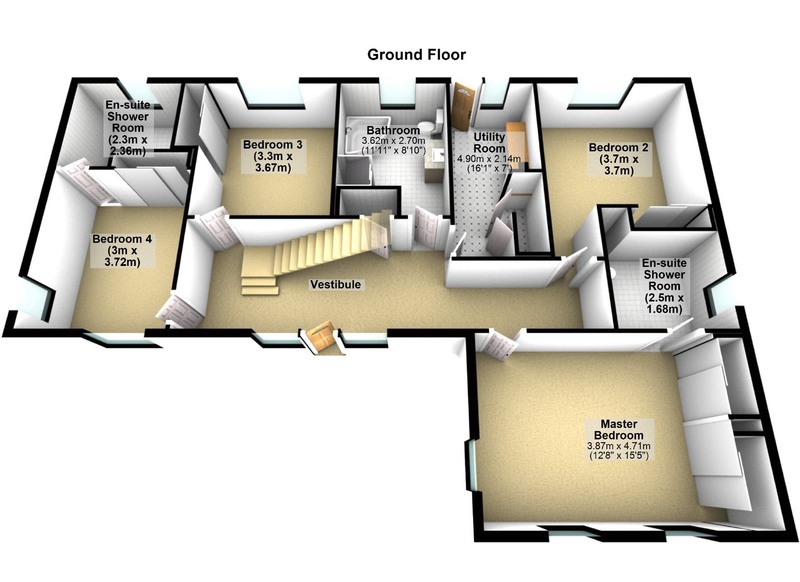 Two of the bedrooms enjoy en-suite shower rooms of the highest specification. The stylish kitchen has been individually studio designed to maximise both workspace and storage. Contemporary sanitary ware is provided in white, and will be complemented with stylish taps and fittings. There are Silver finished shower enclosures and walk in showers, with white shower trays and quality shower valves and heads. Wash hand basins to wall, mounted with chrome mixer and pop up waste. White back to wall WC pan with concealed cistern and chrome push flush button. Chrome towel warmers will be fitted as standard to bathrooms. Wall tiling will be provided to full height around baths and shower enclosures. Mains-wired smoke detectors, CO and heat detectors. 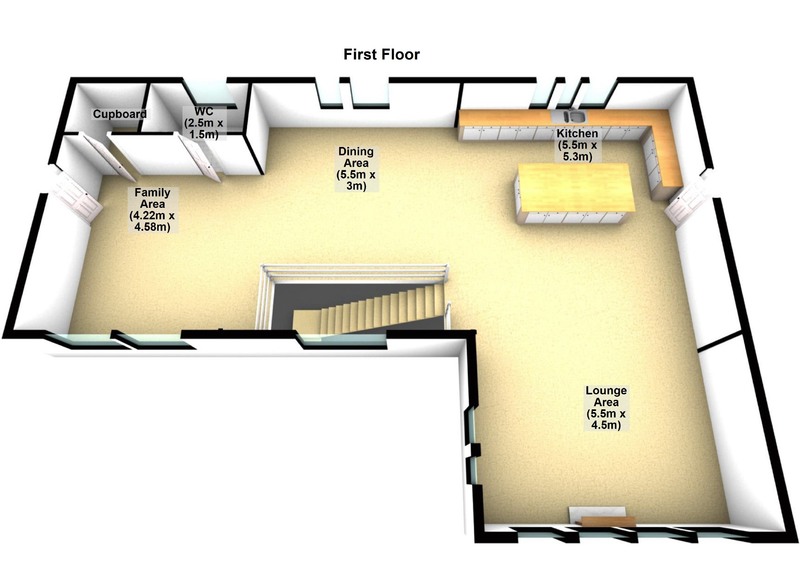 TV points to Lounge, Dining Areas and all Bedrooms. Wired for satellite to Lounge / Dining and all Bedrooms. Landscaped and seeded gardens with tree planting and fencing. Beautiful sweeping private driveway access with parking. 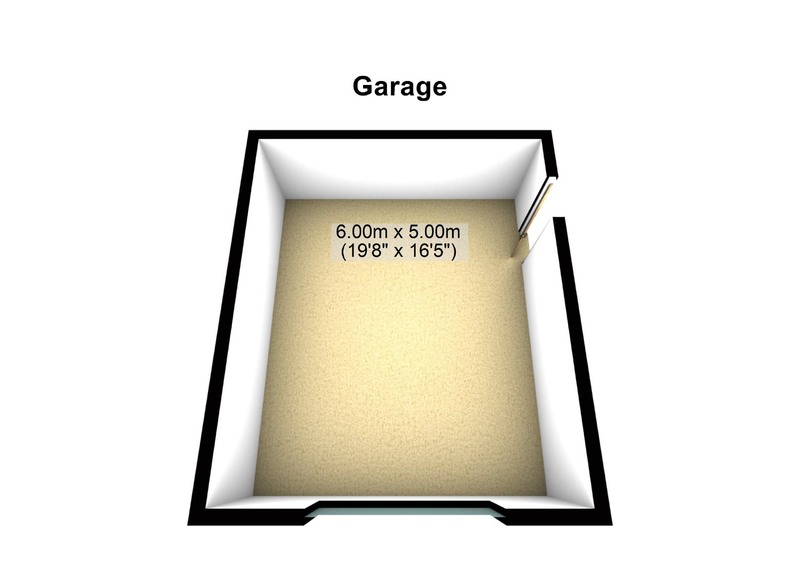 Large detached single door garage with work bench, power and light. High security external doors with multi point locking system. Mains fed smoke / CO2 detectors with battery back up.